The Canadian wilderness is a harsh and terrifying place to be stranded, but with this selection of the best The Forest Mods, you’ll be well-equipped for survival. Here are some more posts like this, if you’re interested, too: Best Sims 4 Mods, Best ETS2 Mods, Best Skyrim Mods, and more! Let’s start with the mack daddy, and work our way from there. 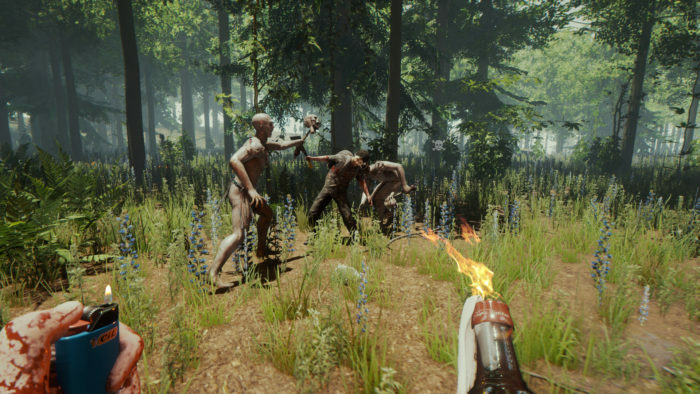 The most popular mod available for The Forest offers you the world, to bend at your will as you see fit. The ultimate cheat menu does exactly as advertised, including the abilities to freeze time, instantly build and repair, respawn animals, items or mutants, or suddenly fly through the air like Poochie returning to his home planet. And those are just the hotkey options; there are a slew of other cheats at your disposal, from control of the weather and environment to everyone’s ultimate dream: holding infinite logs at one time. Once you’ve messed around with this mod long enough, mere mortals will kiss your feet. But don’t worry, there are plenty of other fun (read: kinda stupid) mods for you to try out, too.